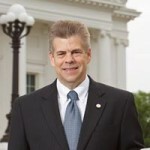 24th District State Senate Republican nomination candidate Dan Moxley responded to the news today from Richmond that State Senator Walter Stosch is retiring from the Virginia General Assembly after 33 years. Today, U.S. Senator Tim Kaine joined Senator John Barrasso (R-WY) and six other colleagues to introduce the LNG Permitting Certainty and Transparency Act. Governor Terry McAuliffe announced Wednesday that Copper Fox Distillery (www.copperfox.biz) will open its second malting, production, aging, and tasting facility in the City of Williamsburg. 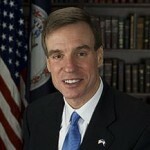 Today, Senator Mark Warner’s campaign launched a new television ad, “Virginia First,” featuring former Republican U.S. Senator John Warner. John Warner endorsed Senator Mark Warner for re-election in January 2014. This is the first time John Warner has endorsed a Democrat for elected office in Virginia. 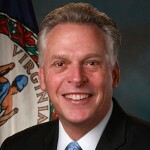 Governor Terry McAuliffe announced Tuesday that Relay Foods will expand its Richmond fulfillment center to accommodate increased local demand for its products and to support the company’s entry into new markets. 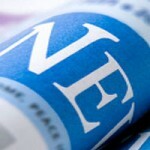 Over time federal agencies have flipped the Freedom of Information Act (ACT) on its head. Congress clearly intended the FOIA to be a tool for the public to pry information out of federal agencies. Virginia Democrats are raising issue with State Sen. Bill Stanley and his healthcare tour in Southside Virginia. Governor Terry McAuliffe on Wednesday signed executive order 23: The New Virginia Economy Workforce Initiative, which establishes an ambitious new plan to help better prepare Virginian’s for a new and diversifying economy. U.S. 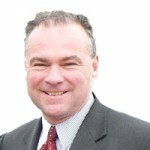 Senator Tim Kaine, Chairman of the Senate Foreign Relations Subcommittee on Near Eastern, South and Central Asian Affairs, released the following statement today on political developments in Iraq and U.S. military action. The McAuliffe Administration announced the members and first meeting date for Virginia’s Standards of Learning Innovation Committee. When it opened, the Panama Canal changed the way we view commerce around the world. It ushered in a new era of shipping, trade, and economic opportunity that stretched between continents and nations. The re-election campaign of Senator Mark Warner today announced 16 former Virginia Republican elected officials who have endorsed Warner (D-VA) for his 2014 re-election bid. Terry McAuliffe and Senate Democrats have now held the budget hostage for some 90 days. Even after Secretary of Finance Ric Brown recently briefed the General Assembly Money Committees that state revenue shortfall could possibly exceed $1 billion over the next two years, there has been no urgency in the Senate to work towards a budget negotiation. 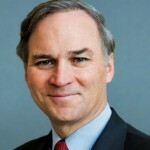 America is strongest when its military, economic, diplomatic, and moral example are balanced. I was pleased to hear the President articulate such an approach for continued U.S. engagement around the world in his commencement address at West Point today.